Why Do Ants Attack My Home? As the weather begins to warm up the closer we get to spring, you may begin to have familiar residents return to your property; your friendly ant population. With the warmer weather, ants will begin foraging once again for food and that food source just may be found in your home. What Type of Ant Is Invading My Home? There are a number of common ants that are native to New Jersey and Pennsylvania, some of which can be destructive to your home structure. Before you panic at the sight of an ant on your kitchen counter, it’s best to identify which type it is. 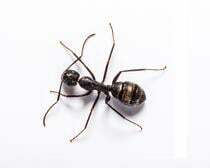 Of all the ants that are native to our area, only carpenter ants and acrobat ants can cause structural damage to your home. Of the two, carpenter ants are more serious than acrobat ants because they will destroy sound wood in addition to wood that has been weakened by moisture damage. Acrobat ants tend to cause less damage and are usually associated in areas of the structure where moisture is a problem. Even though having any type of ant invade your home can be an annoyance, it is very important to take the necessary steps in eradicating carpenter ants due to the structural damage they can cause to your home. Why Do Ants Invade My Home? Once you have identified what type of ant it is, you’ll have a better chance at removing it from your home, as well as determining why it was there in the first place. For most homeowners, nuisance ants, like Odorous House Ants, are the most common ants entering the homes but other ants can certainly invade your home. In addition to being in the surveying area for food resources, your property may be prone to ants because of your landscaping. Although there can be a number of reasons why the ants are getting in and why they keep coming back, there is something you can do to reduce the activity in your home. Clean your house. Start by cleaning your kitchen because according to the National Pest Management Association (NPMA) kitchens were found more vulnerable to ant activity 96% of the time and bathrooms were vulnerable 89% of the time. Ants are generally looking for a source of food and water, both of which can be found in your kitchen. Be sure to clean up crumbs and spills immediately as to not attract the ants. Keep an eye on any fruit that may be over ripe that can also attract ants into your kitchen. Trim your shrubs. Shrubs and tree branches that are close you your home can be bridges for ants so it is best to keep them trimmed so that they are not touching the home in any way. Consult with a Landscaper prior to landscaping. Prior to doing any landscaping, consult with a landscaper to ensure that you are not using plants that are prone to aphids, scales or other homopterous insects that will in turn attract ants. If you are including ornamental plants in your landscaping that attracts homopterous insects, you may need to treat them to eliminate the insects that attract the ants. How Can Cooper Pest Solutions Help Protect My Home from Ants? More often than not, the DIY ant removal remedies sold at big box stores will not solve your ant problem. Unlike other DIY options, Cooper Pest Solutions understands the biology and behavior of ants which is what makes out treatment methods more effective for eliminating the problem rather than a temporary solution. What makes Cooper different is that we focus on the exterior where ants originate, rather than inside where the ants are seen. By doing this, we solve ant problems rather than simply treat the symptoms. Cooper offers several different types of services that will address your ant problems and protect your home from future invasions. 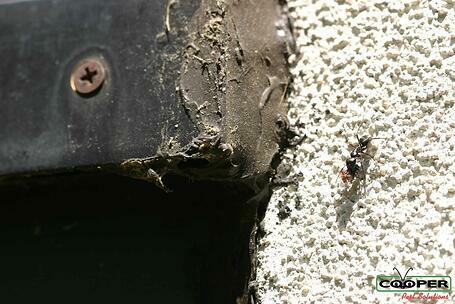 Why Call Cooper Pest Solutions for your Ant Problems? If ants are causing a nuisance at your NJ or PA home or you would like to prevent you property from ants and other insects with our home service programs, give Cooper Pest Solutions a call at 1-800-949-2667. To schedule a FREE estimate, fill out our form here.